[SHIFT-IT Coach] Cool ‘Frontier’ Tools to Wake You Up! Welcome to your January SHIFT-IT e-Zine. Feature Article: Cool 'Frontier' Tools to Wake You Up! Had a nice quiet Xmas Eve dinner with Jim and our friend Ghislaine. And then had plenty of lazy slow days - sleeping in late, going to the gym for leisurely workouts (the steam afterwards is the best) and doing some personal visioning and reflection work. I did my own mini SHIFT-IT Retreat (used the same pdf and map tools that I gave access to all of you in last month’s issue). Thinking about my past year (all in all an excellent one) and the current crossroads I stand on --- and imagining how I want next year to go (as it fits into my overall trajectory). Things are manifesting nicely on many fronts. Last issue I ‘came out of the closet’ a bit more about some of my metaphysical pursuits (my reading with Theo). Was a fascinating experience. They nailed my life purpose and certain dilemmas I’m facing, so much so that I quickly booked another call to answer a few more questions. I’m not a big advocate of looking outside of oneself for answers, however it was useful to get some insights on my life from my soul’s perspective. I have many years of very grounded experience in strategic planning and visioning with corporations, government and not-for-profit. 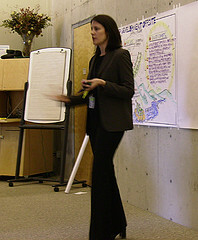 So I can tell you all about the regular, ‘straight’ theories of change management and organizational development, etc. However, those approaches only take groups and individuals so far, at least in my experience. There is a lot more going on at the ‘energy’ and ‘emotional alignment’ end of things that just gets left out of most change programs. So that has been what I’ve been studying and exploring in my ‘off time' for years now – and what is insistently pushing itself to the surface in my work more and more. As its January, and this is the typical time of year that us coach types dispense advice about setting goals and resolutions … I thought I’d do something a bit different and give you my top recommendations on more ‘alternative’ or ‘frontier’ approaches to change work. There are some fascinating methods being employed to assist people in changing their lives. Its where regular ol’ boring change management meets the world of personal growth, spiritual development and meta-physics. As per always … go for what you are attracted to and discard the rest (your own inner guidance system knows what is best for you!). This month’s fr*ee Law of Attraction Gathering in my Victoria, BC studio. 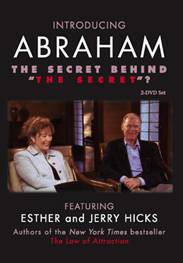 Watch Abraham-Hicks material. Discuss LOA with other curious people. Suitable for both beginners and advanced learners. RSVP Now. (NEW 90-Day) Merkley’s Mastermind: You’ve asked for it, now here it is: a second level virtual coaching group for past SHIFT-IT and Meeting Graphics/Graphic Bootcamp attendees. Create right livelihood, shape your work and life as YOU like it --- accelerate your joy, prosperity and productivity. Special emphasis: creation and fun maintenance of entrepreneurial/independent lifestyle, implementing technology and internet marketing aids, and how to correctly apply and truly live The Law of Attraction. More Info. 5 spaces already taken – just 7 left. 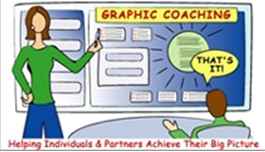 THE GRAPHIC BOOTCAMP (level 2): More advanced instruction and experiential practice. Offered right after MG 101 for those traveling from afar. Tons of at-the-wall drills. Demos. Template construction. Recording and facilitation practice. Advance icon library. Plus business and sales instruction- how to effectively market the benefits of working visually. More Info. 4 spaces already taken – just 8 left. NEW SHIFT-IT TELE-CLASS FORMING RIGHT NOW! New SHIFT-IT Tele-Class Series begins January 13th! 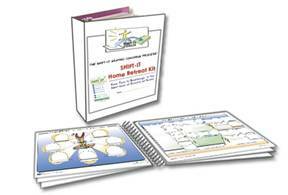 Join like-minded people from around the globe, as you work step-by-step through the SHIFT-IT Graphic Coaching System – via 17 visual maps and the innovative S-I Home Retreat Kit. This fun, effective and results-oriented coaching group is conducted entirely by phone in the comfort of your own home – no travel required! 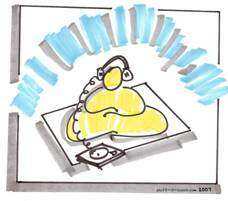 Each week use different graphic tools to understand the flow of your life: your past, present and desired future. Along the way, identify and bust through negative thinking, self sabotage and resistance to finally feel good about what you want. With aligned energy your next steps and actions fall smoothly into a plan – that you implement to Become Your Next Self! Finally break through to a more satisfying personal and/or professional life! ARTICLE: COOL, 'FRONTIER' TOOLS TO WAKE YOU UP! And, if you’d like the camaraderie of a group coaching experience, we go through the Kit step-by-step in the 7-week SHIFT-IT Tele-Class Series . A fun telephone coaching group (using both left and right brain practices) that attracts people from all over the world. The next one starts in just a few weeks (January 13th) … to tie into the juicy New Years energy.